Andrew Christian brand new Fire & Rescue Boxer has got so much hotter. With its Signature Slimming Andrew Christian Waistband, contrast striped side seams, and bright neon Fire & Rescue logo design will get you blazzing up. 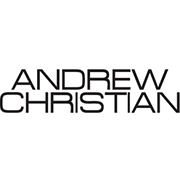 Andrew Christian know that's how you like it as well as the aesthetics and comfort. There are no hidden cups, straps, or padding, and each pair features extra room in front, just where you need it to create a truly enjoyable unique wearing experience.